4. If everything went well, Plugin Builder will display a final dialog that shows us the next steps to customize our plugin project. Don’t worry about folowing these because we will be detailing the exact same steps. drwxr-xr-x 2 qgis qgis 4.0K 2011-08-20 13:21 .
drwxr-xr-x 3 qgis qgis 4.0K 2011-08-20 17:34 ..
Notice that we have a single .ui file and .qrc file but that they haven’t been compiled yet into Python modules. 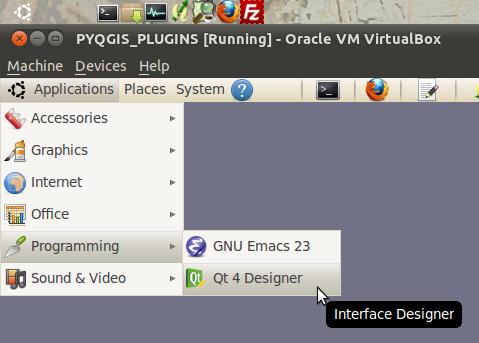 Let’s compile these an take a quick look at what our plugin looks like so far inside QGIS. Those two statements are the commands we need to compile the appropriate resources and GUI files. We can either run these individually or just run the Makefile to start them at the same time. 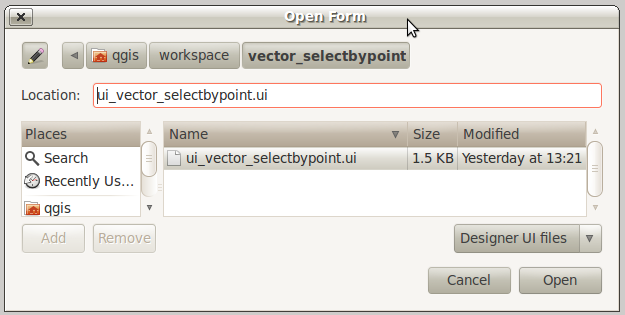 Every time you make changes to the resources.qrc or the ui_vector_selectbypoint.ui file you will need to recompile. drwxr-xr-x 4 qgis qgis 4.0K 2011-08-20 17:58 .
drwxr-xr-x 4 qgis qgis 4.0K 2011-07-07 13:41 .. The tool will report the X,Y coords of a QgsPoint for every map click. The tool will have the option of being active or inactive using a checkbox setting. 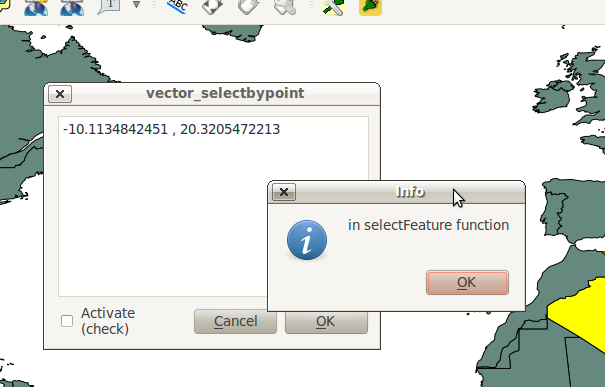 This tool will work the exact same way that the current Select Single Feature tool works in QGIS. The purpose is to illustrate the steps in fleshing out a plugin. There are more practical excercises at the end of this tutorial that will work your fu. Revise previous code to make our tool sexier – Yah! If we want to make changes to the GUI we will need to edit the .ui file associated with this project. Qt Designer is the editor that we are going to use to do this type of editing. 6. 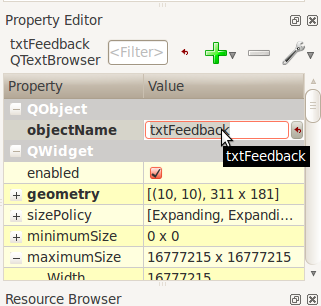 With the TextBrowser on the form selected (showing the blue square vertices), move over to the bottom-right column called the Property Editor and change the name of the TextBrowser object to txtFeedback . 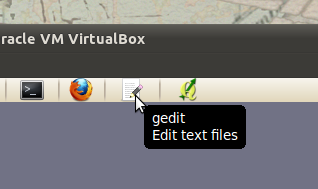 The edit happens in the field called objectName . The value we put in here will be used inside our code to represent the TextBrowser. 10. 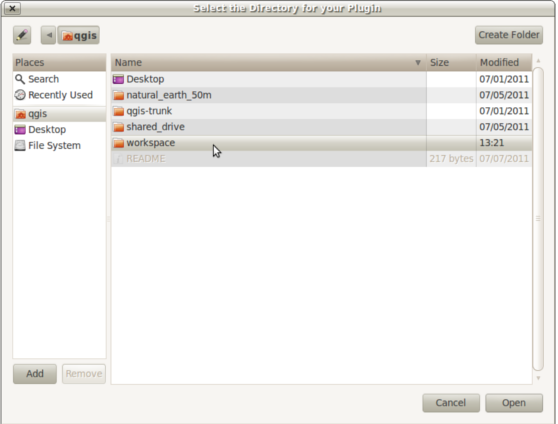 Now save your changes by selecting File > Save in the menu bar. Notice that the Makefile is smart. It knows that there were only changes to the .ui file and not the .qrc file. So it only compiles the GUI file into a Python module. 3. Let’s walk through some important things about this file. QGIS needs special class methods to exist in your main Python class for it to work. 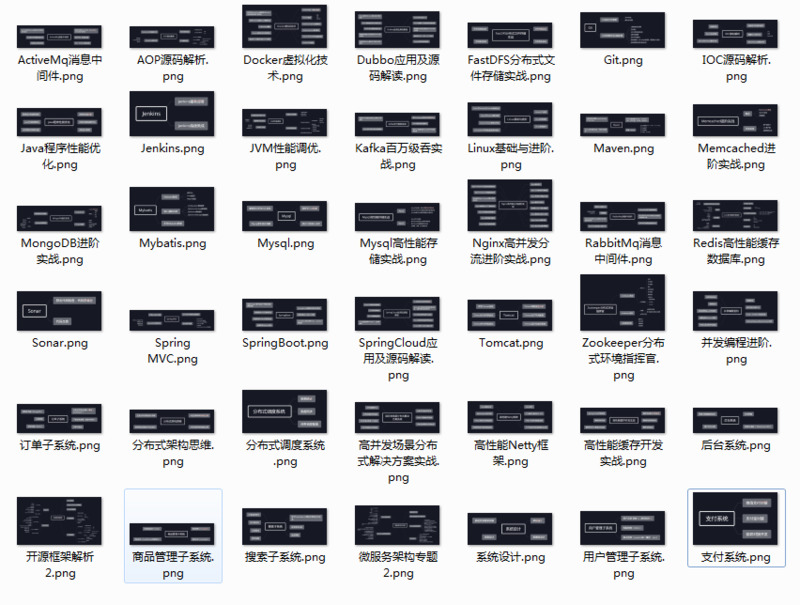 These are initGui() , __init__() and unload . If we read through the code comments in those functions we can intuit that initGui() and __init__() get called at plugin startup and that some of the code in the initGui() function is responsible for adding our plugin to the menu. The function unload() does the opposite – it tears down things we setup at intialization. Also notice that our reference to the QgsInterface class is under __init__() . 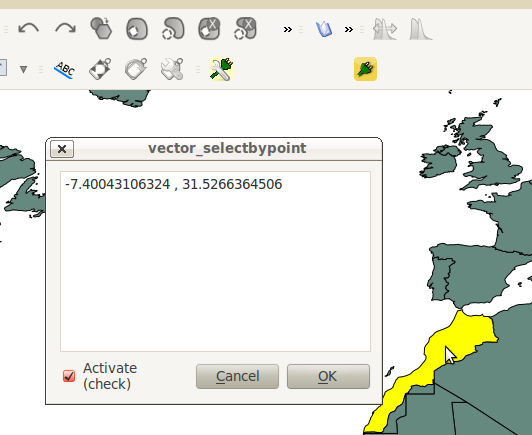 From this class attribute we can create a reference to other parts of the QGIS system such as the map canvas. 6. We have the references we’ll need to implement a click and get some feedback in the form of a QgsPoint but now we have to think about how that all works. 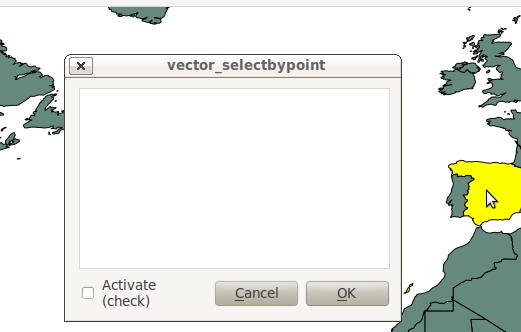 In QGIS (and most other applications) there is the concept of an event/action. In Qt we call these things in terms of signals and slots. When a user mouse-clicks the map canvas it broadcasts a signal about what just happened. Other functions in your program can subscribe to that broadcast and therefore react in real-time to a mouse-click. This is a concept that is not immediately intuitive or easy to program at first. 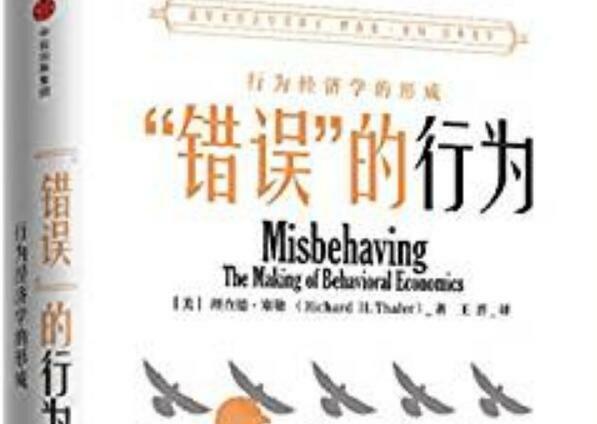 So the best advice is to just follow the example below and try to understand as much as possible. We’ll return to this topic later and flesh it out more. For those that are interested here is very good resource that explains PyQt signals and slots . A quick note. 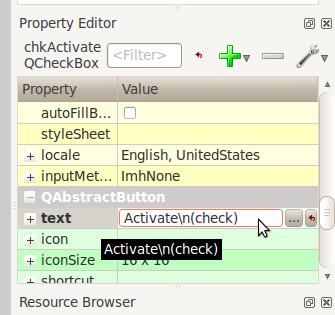 The function QObject.connect() does the dirty work of registering our custom function handleMouseDown (which hasn’t been written yet) to the clickTool signal canvasClicked() . 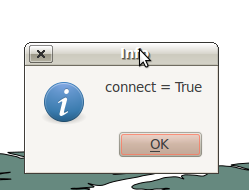 It returns a boolean value declaring if the connection worked or not. We are catching that response and then outputing it to a message box so we can make sure the code we are writing is working as expected. We know that the signal canvasClicked() emits a QgsPoint. 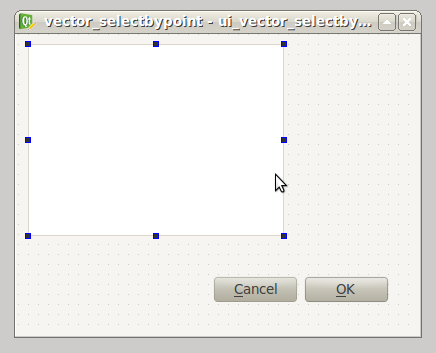 So in our handleMouseDown() function we are using a message box to view the X,Y output of that point. 2. 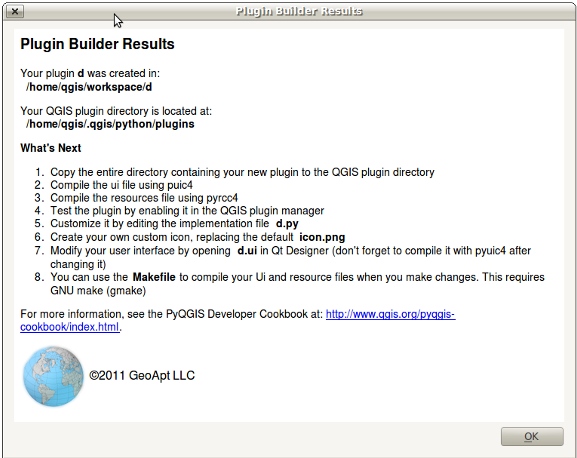 Open the QGIS Plugin Manger. 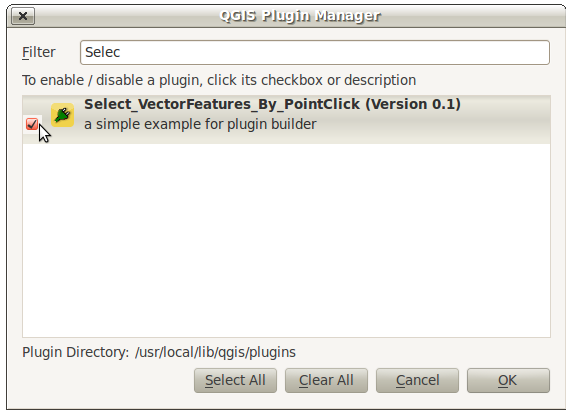 If our tool Select_VectorFeatures_By_PointClick is already selected then uncheck it and close the QGIS Plugin Manager. 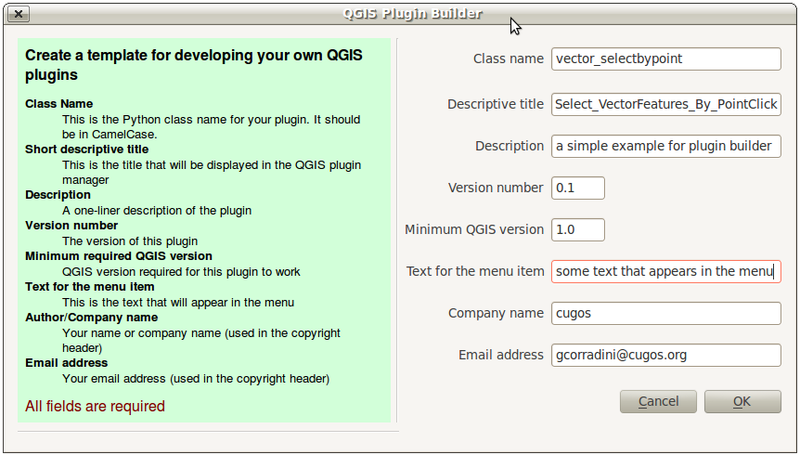 Now reopen the QGIS Plugin manager and check our plugin again to add it to QGIS. This process ensures that we are getting the newest edits to our plugin loaded. If you got an error try your best to locate the error, edit it and readd the plugin to test. If you have questions about what went wrong ask one of your neighbors or one of the helpers. # Set up the user interface from Designer. This Python module subclasses a QtGui.QDialog class and wraps the compiled .ui file ui_vector_selectbypoint.py . 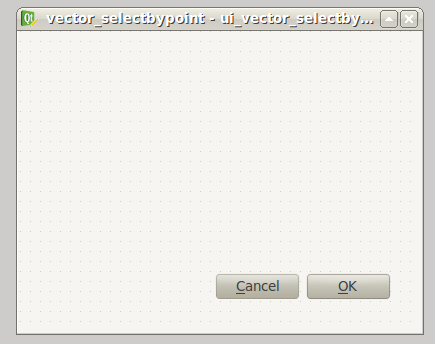 Notice that we import that module at the beginning with these lines from ui_vector_selectbypoint import Ui_vector_selectbypoint . The whole point of this class is to abstract the the setup of the UI so we don’t have to deal with GUI setup in our main Python module. 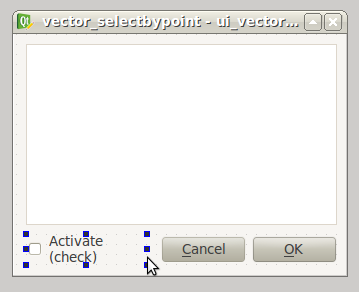 Now when we want to create our dialog we only need to create an instance of vector_selectbypointDialog class and it handles all the GUI setup. This class is a good place to build dialog-specific properties such as getters and setters for input/output and things that will interact with buttons. Notice that we are putting a QMessageBox box immediately after the connection to make sure that we are getting the correct feedback during testing. We need to make a connection to a checkbox signal that fires when it’s clicked. 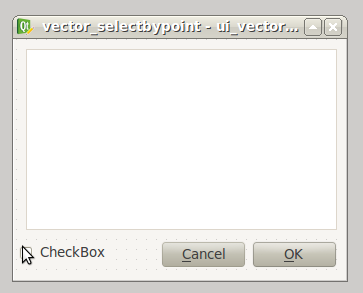 The handler function will check the state (checked vs unchecked) of the checkbox. We need to create the handler function that checks the state of the checkbox and then appropriately enables or disables a connection to the map-canvas clicked signal. That means we are going to move around some existing code. 5. 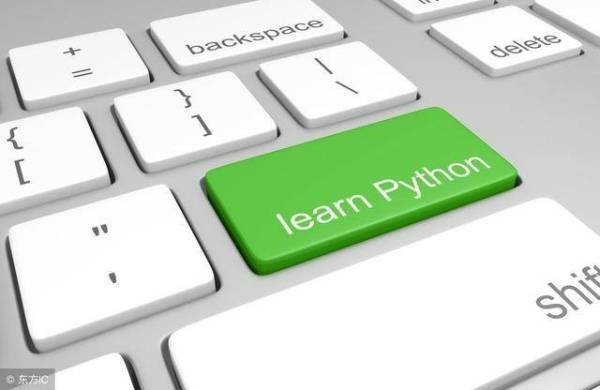 Save and close your Python modules. Reload the plugin. 6. 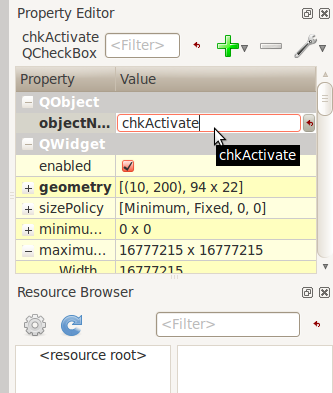 After you intially bring up our tool the activate checkbox should be unchecked. Remember, this means we shouldn’t be able to select features or have output to the TextBrowser. 8. 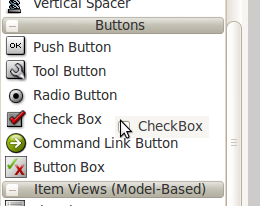 Now click the checkbox and try clicking on the map again. We should now be getting X,Y point feedback in the TextBrowser and seeing features selected on the map. 5) Make a Sexier Tool – Yah! SOLUTION :This doesn’t seem like the most intuitive place to get the current layer and it’s data provider. Let’s reorganize things around events and make this simpler. Whenever a layer is selected in the TOC it will fire a signal. This seems like a good place to put any intialization code for the current layer or data provider since we’ll be handling layers one-at-a-time. 2. 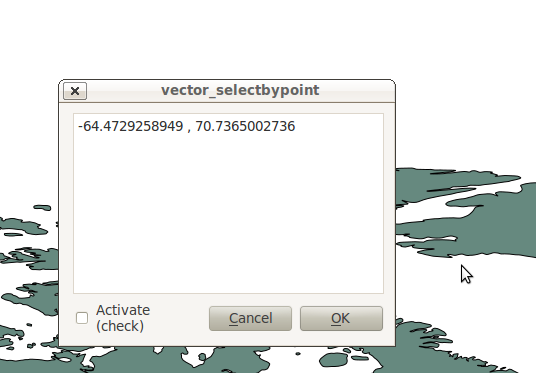 Relaying the QgsPoint X,Y coordinates on map canvas clicks isn’t putting our TextBrowser to great use. SOLUTION :Let’s output something more useful to the TextBrowser. We want to output a ‘NAME’ attribute to the TextBrowser if it exists for a given layer. Most of these changes are straight code reorganization. 2. Now change all references in the module (most under selectFeature() function) to be prefixed with self. .
10. Test out your changes. One good test is to load two shapefile layers (hopefully both have a ‘NAME’ field). Then try switching between the layers and click on different features to make sure the tool works and doesn’t break.